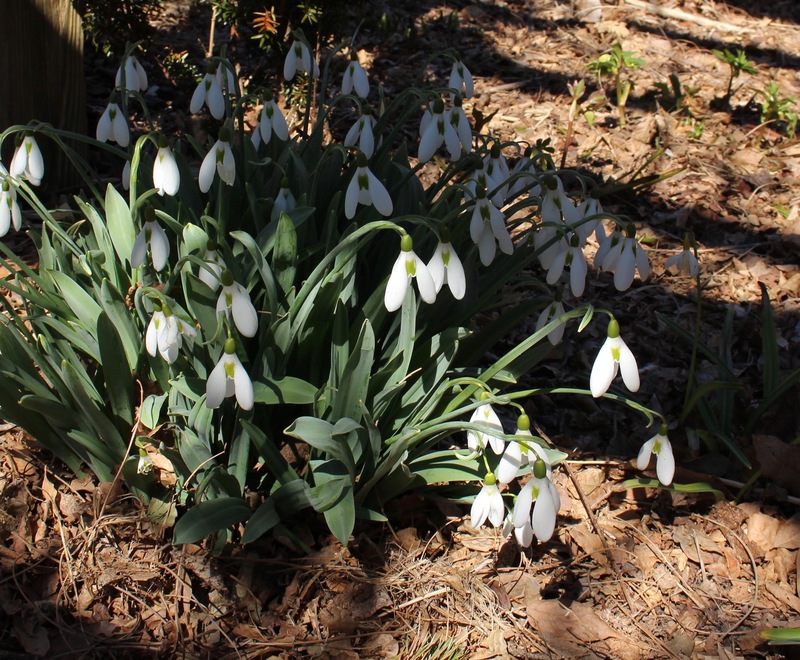 This entry was posted in garden tours, late winter, snowdrops, Uncategorized, winter flowers and tagged American Snowdrops, galanthomania, long island, snowdrop sources, snowdrops. This just might be your favorite time of year – I bet you were in heaven! looks like a fabulous day and that shot of the snowdrops by the hedge was pure heaven. Things worked out perfectly and it’s not often I get to spend a beautiful day looking at all kinds of snowdrops! The Pianist went to an aviation museum recently for very early aircraft and someone had collected and donated spark plugs dating from before the First World War to after the Second World War, all beautifully displayed in special cabinets. 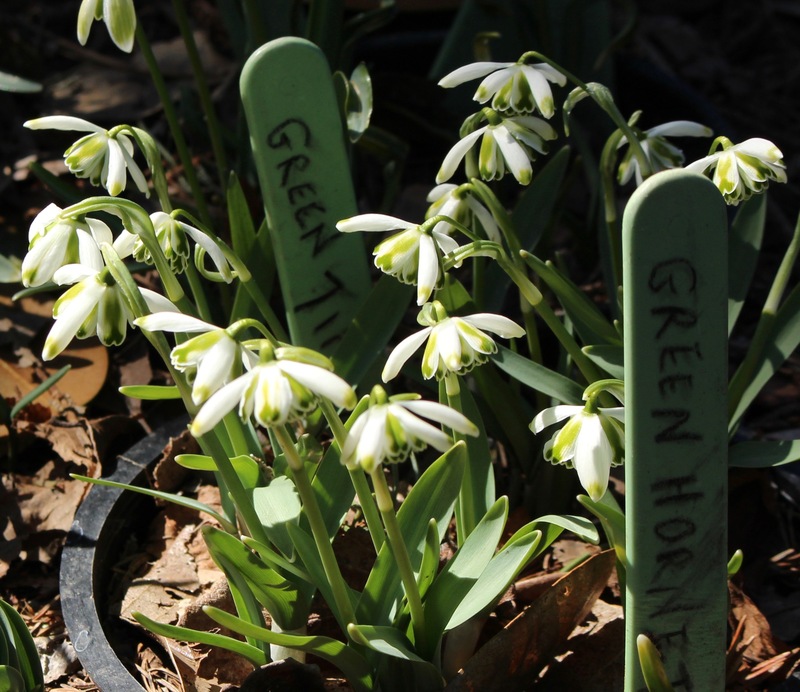 I suspect for many people this snowdrop collection would be like the spark plug display. But not for me, my friend, I’m with you there and would have been cooing over every single drop whilst making very expensive lists in my mind. Glad you could manage a few hours of snowdropping again this spring Frank. I am now getting excited about my first narcissi to open! 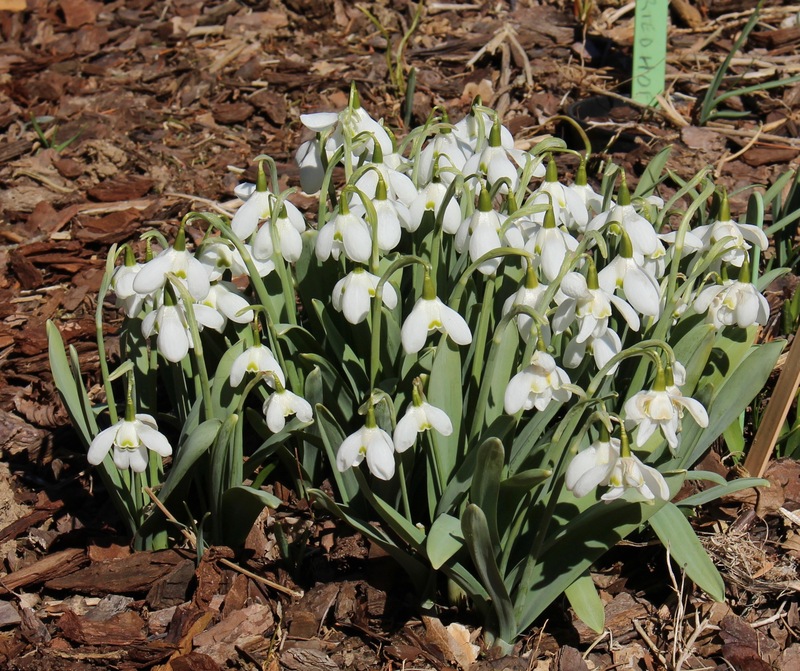 “Hello, my name is Frank, and I’m a snowdrop addict.” : ) Sounds like you had a great day. 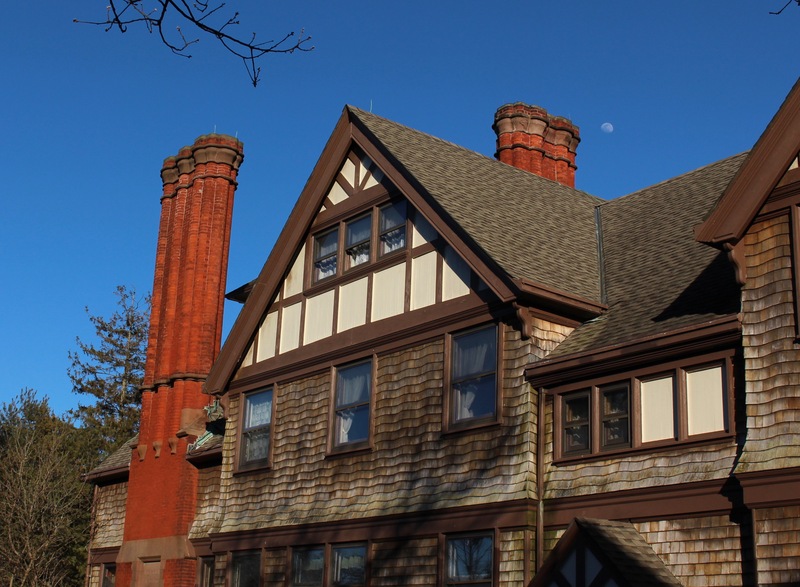 That Tudor house is stunning, and I really liked the shot of all the naturalized snowdrops in the woods. Glad you had such a good time! It was a fun day, but honestly it took me nearly a week to catch up again once I got home. Spring is just too busy sometimes! 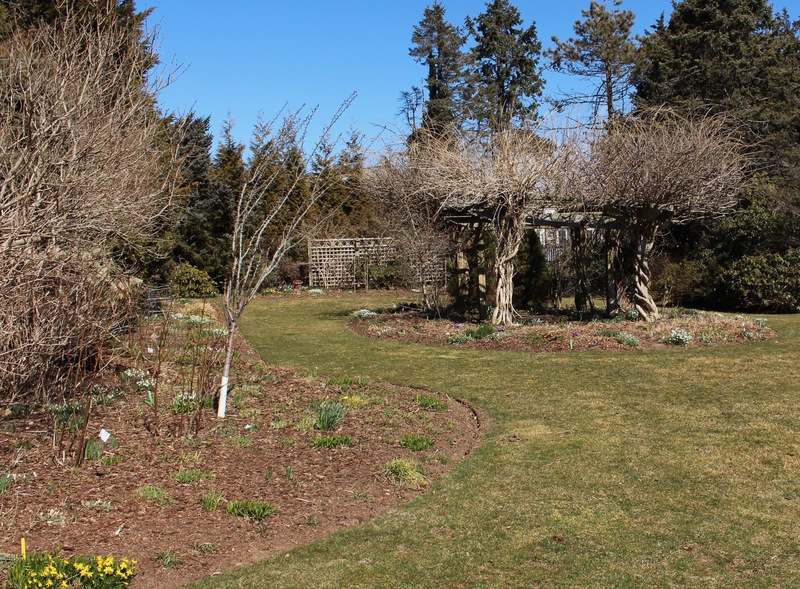 I grew up on LI, but never knew about this garden. A true galanthophile’s paradise. 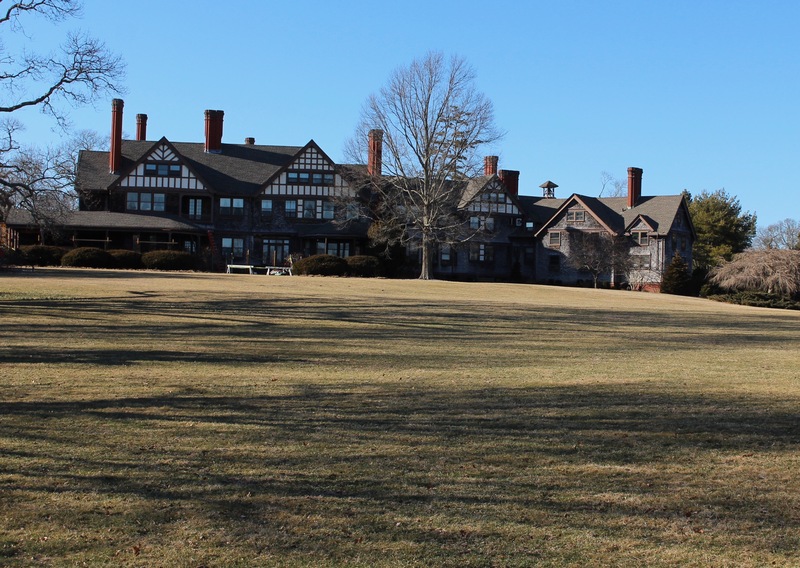 The Eastern end of LI is a whole different world! 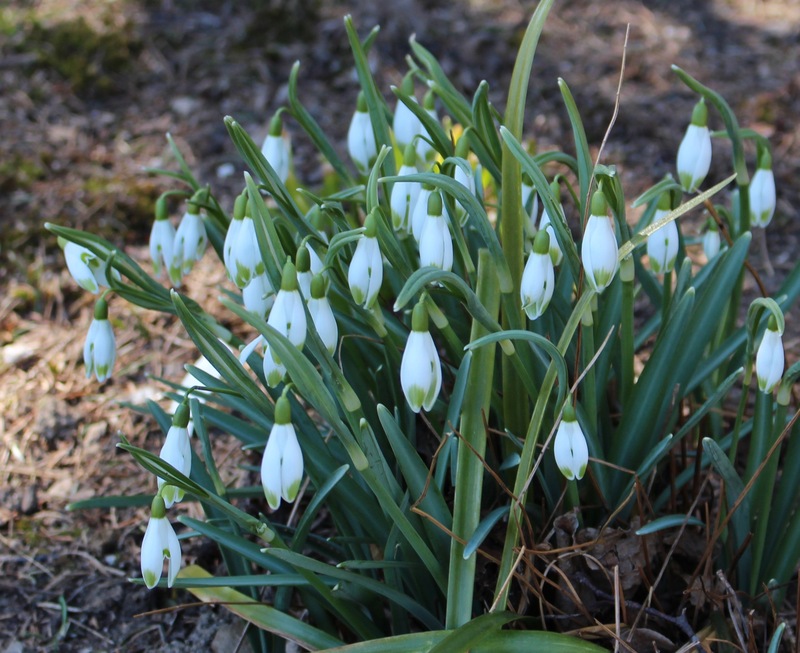 Hi Frank, it’s clear that snowdrops have taken over your late winter, early spring gardening. I’m still at the plant a few and let them prosper stage, haven’t acquired the collector bug for snowdrops. 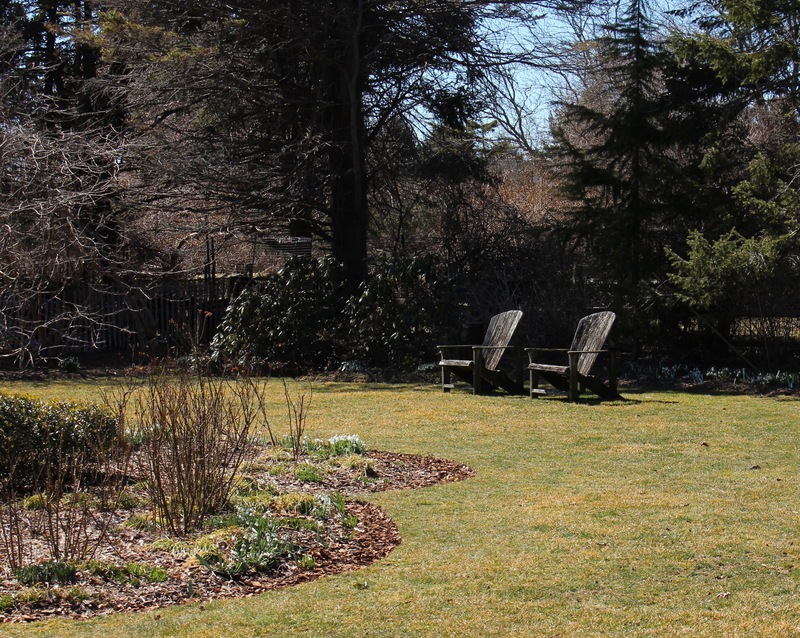 My son has an old property in Lexington Massachusetts that was planted with scilla many years ago. 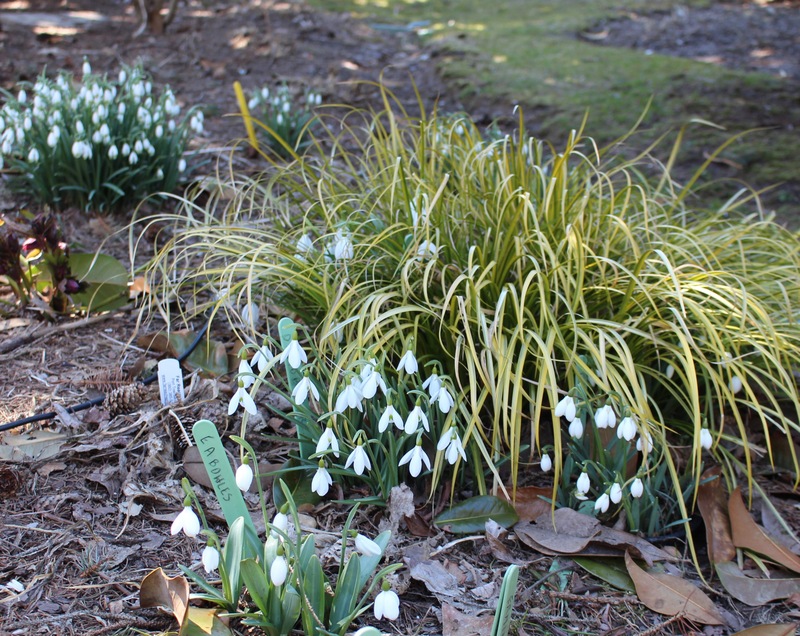 It is amazing what a hundred years will do for bulbs that are happy to spread. So just picture what your bulbls will look like a hundred years from now. There have been a few snowdrop seedlings showing up here and there, and I think there is hope for the hundred-year review. 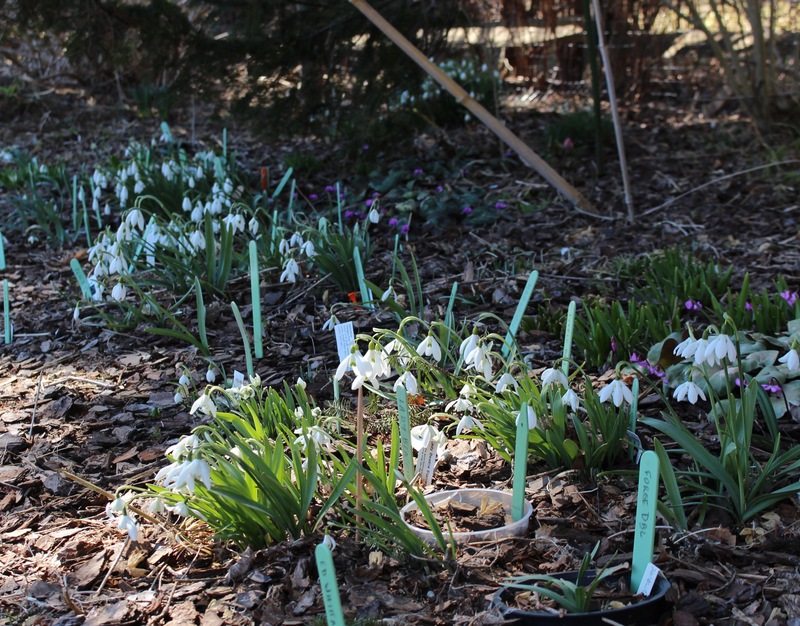 Between the snowdrops, scilla, eranthis, and corydalis I’m hedging my bets for somehting to take hold! 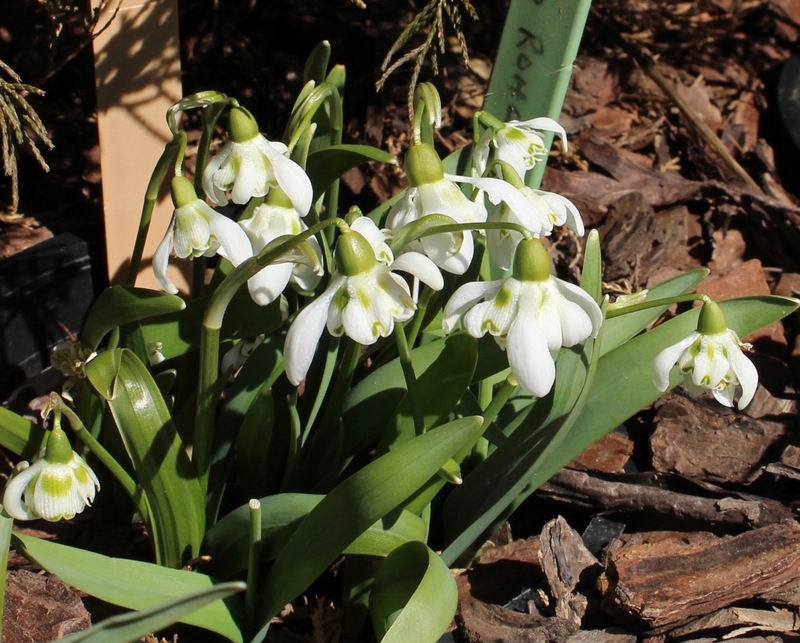 It looks like a snowdrop-lover’s dream! What a fun trip for you! 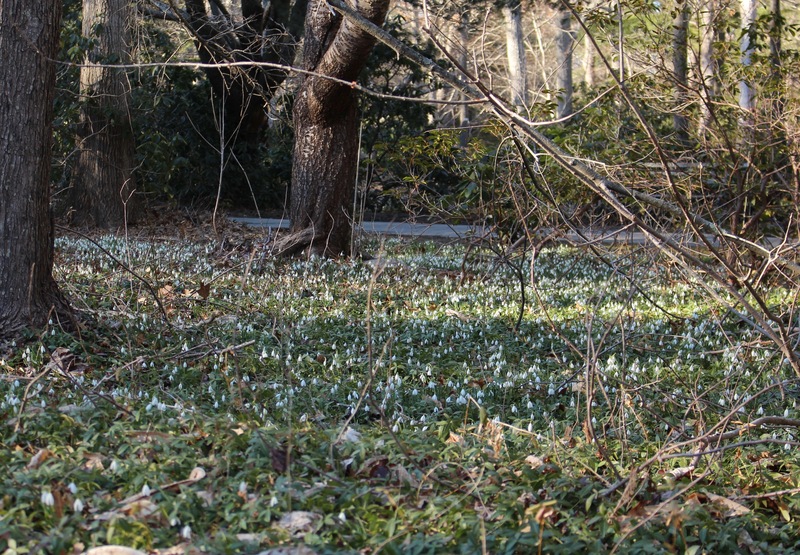 I love the look of the snowdrops naturalized in the woods. So pretty! We can both hope that someday our little bulbs will take off and fill a wood. At least our little clumps are a start!